eMedley provides Dental Schools with everything needed for a Competency Driven curriculum, assessment, and performance tracking model. Administer competency based assessments and OSCE’s, review results, identify gaps and overlaps, re-mediate, and track student performance and mastery of each competency to help prepare students to achieve high pass rates on the National Board Dental Examination. Preparing for accreditation or a site visit? eCurriculum generates reports to quickly identify where, when, and how CODA Standards, Foundation Knowledge, instruction methods, and assessment methods are used and covered in the curriculum as well as what is missing. eMedley’s curriculum and performance systems provide a clear and comprehensive picture of what students learned in the classroom, how effective that learning was, knowledge based performance on tests tied back to the curriculum, and application based performance on competency driven assessments also tied back to the curriculum. Allocate hours to each course and type of instruction. Then run reports to see how much time is allocated across the curriculum. Diagnoses, procedures, CODA Standards, Foundation Knowledge, Instruction Methods, Assessment Methods, and custom program standards and objectives preloaded in. Let the system do the tracking for CODA Standards, Foundation Knowledge, Instruction Methods, Assessment Methods, and Program Objectives. Tired of sifting through file cabinets? 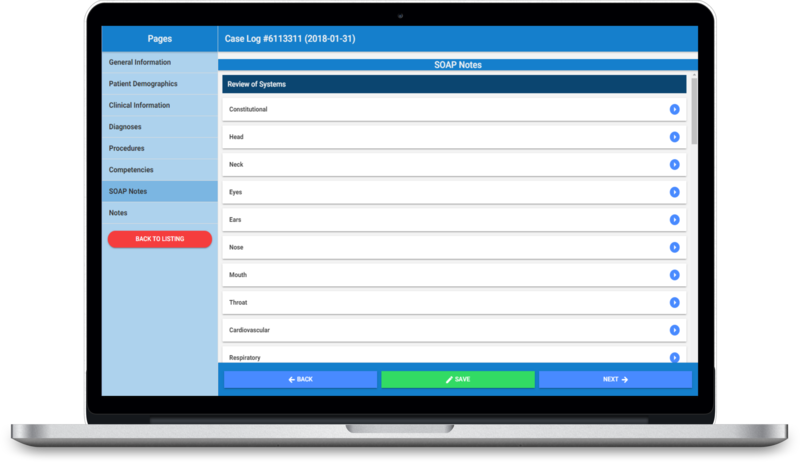 Store and manage all documents in a secure online system accessible on the cloud at any time and any location. Module that allows students to submit Reflection Essays online and the instructor to grade them using a customizable grading rubric. Track the placement of students at community based sites with built in tools for capacity tracking, schedule planning, and an interactive map. Ensure that students have all documentation, certifications, and training required before sending them out into the community. eMedley’s Curriculum and Performance suite encompasses 3 key components of curriculum and instruction to support Competency Based Education: Curriculum Mapping, Knowledge Based Testing, and Performance Based Evaluations to provide a comprehensive picture of competency driven teaching and learning. Map courses, course objectives and outcomes, test questions, and evaluation rubric criteria to specific CODA standards or Program Competencies. Generate curriculum and assessment reports that aggregate performance data tied back to competencies across multiple assessment instruments. Send us your rules such as providing timely patient care, balanced withdrawal from student groups, equal experience between students, required time off, and more. Dental scheduling involve a lot of complexity. Schedule rules like morning and afternoon availability, the equal experience between students, clinic schedules, and group assignment make generating the schedule even more time consuming. 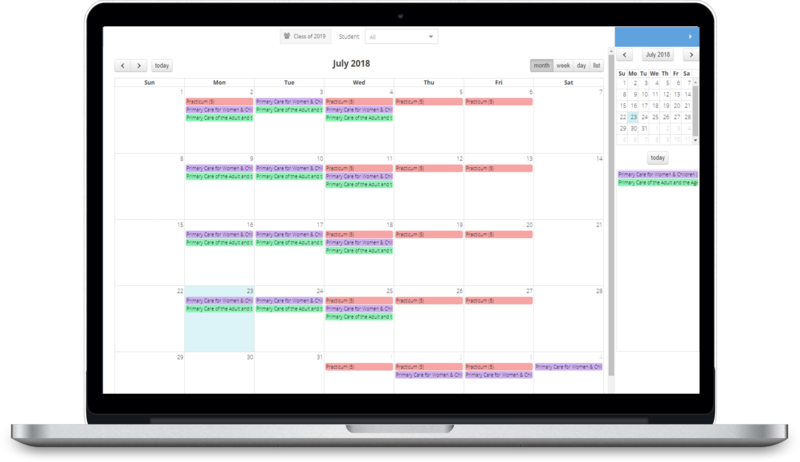 The Automated Scheduling service through eduSched handles all of the nuances of complex scheduling rules, providing rapid results in easy to understand visual representations.